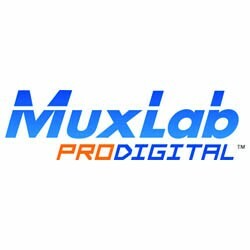 MuxLab offers a complete line of pro audio and video connectivity and distribution products and has solutions for any application; classrooms, conference rooms, stadiums, digital signage, medical imaging, retail, and much more. 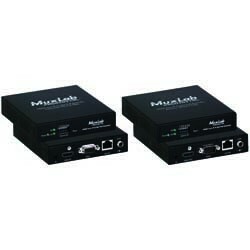 With a leading line of AV over IP solutions, MuxLab products can be easily managed, configured, and controlled by a central location with the use of the Pro Digital Network Controller which also allows for third party smartphone and tablet management. 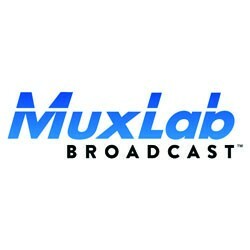 MuxLab’s line of broadcast solutions is ideal for video production, outside broadcasting vehicles, post production, live events, and many more applications and includes the unique 6G-SDI Extender over UTP with Ethernet and 6G-SDI Extender Over Fiber Optic with Return Channel. 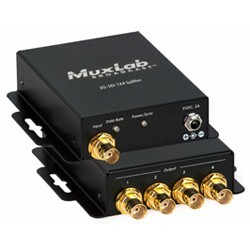 The 3G-SDI 1×4 Splitter (500719) allows one (1) 3G/HD/SD-SDI source to be distributed and amplified to up to four (4) 3G/HD/SD-SDI displays. The splitter supports up to 1080p video, including 480i (SD-SDI), 720p/1080i (HD-SDI), and 1080p (3G-SDI). 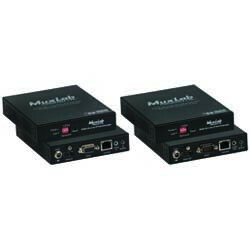 The device automatically detects the 3G/HD/SD-SDI signal and re-clocks and regenerates the signal at the output for extending distances between source and displays. 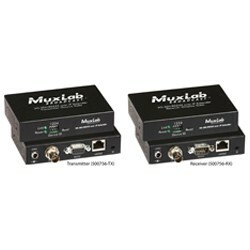 This low-latency and versatile extender kit consists of individual transmitter and receiver units which can be configured in a variety of combinations. 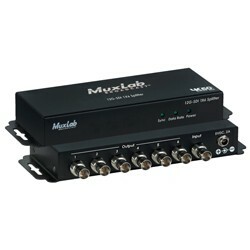 It is a cost effective alternative to a dedicated SDI matrix switch. The 3G-SDI over IP extender allows users to send any SDI signals over CAT5/6 cable infrastructure instead of using the traditional SDI coax infrastructure, saving cable cost and making installation easy and fast.